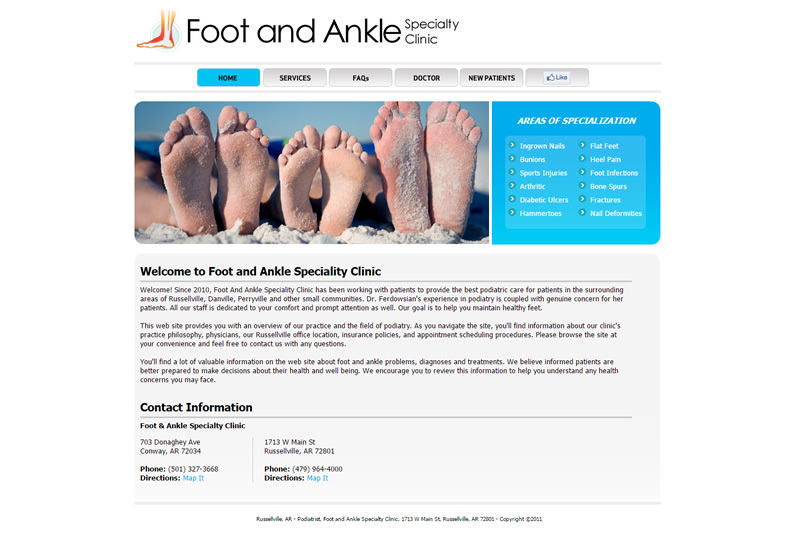 Foot and Ankle Specialty Clinic needed a fresh new look and a responsive, mobile friendly website. They wanted to highlight their various locations, with specific landing pages to show the distinctions between the clinics. 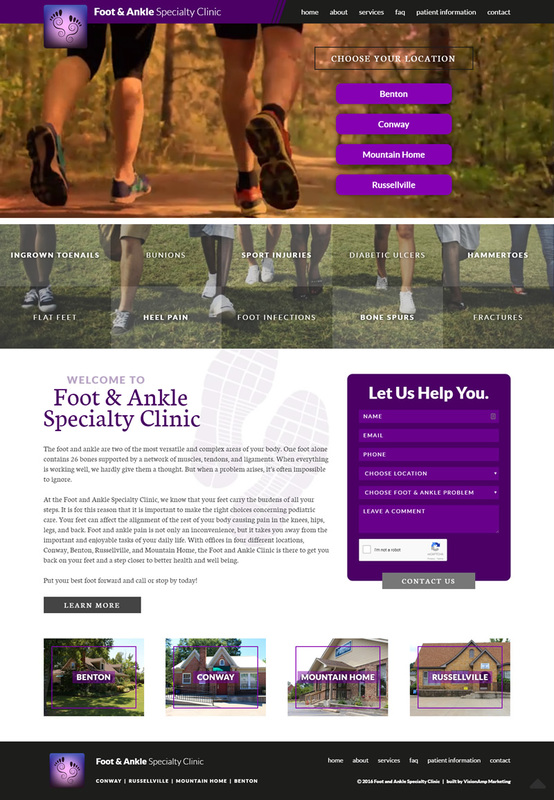 They also wanted to answer client questions on the site; therefore, VisionAmp designed the interactive Services boxes on the home page for quick and easy information to patients with foot and ankle issues. Book and Appointment was another priority call to action; we worked this into every page of the website. Foot And Ankle Specialty Clinic provides the best podiatric care for patients. Their offices now serve patients in Russellville, Conway, Benton, Mountain Home, and other small communities and surrounding areas in Arkansas.